Area Visitor and Tourism Bureau provide a number of listings for Lodging and Dining in the area. Visit their links to the right to find a location available for you. How far are you, lodging, resturants, or other events from Portland? 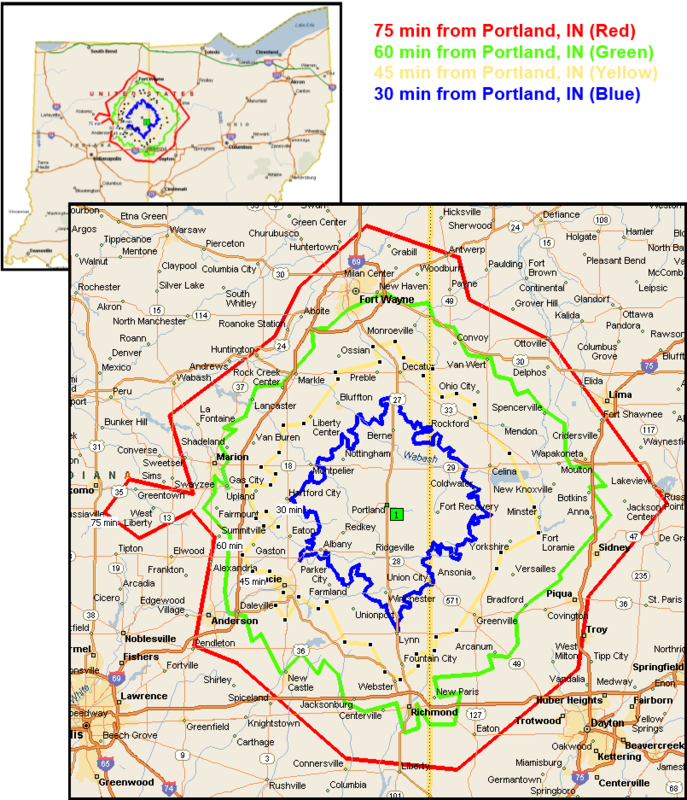 Below is a quick reference of distances from Portland, IN. For a more precise indication enter an address above and get precise directions with times right to the club grounds.